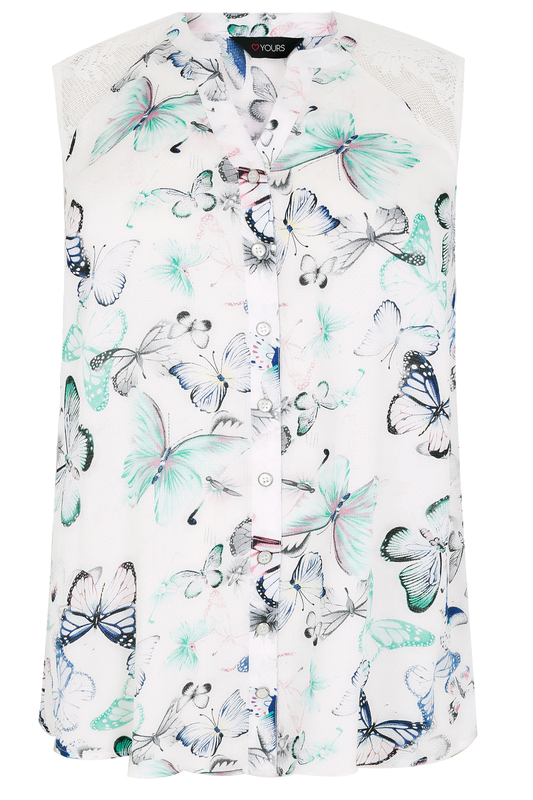 This super chic shirt is made from a lightweight fabric that is designed to fall elegantly over your curves for a floaty look. 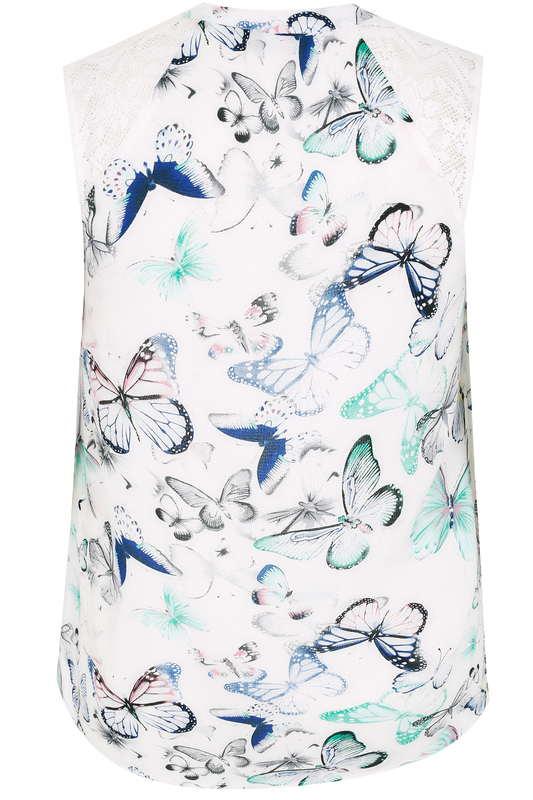 It's totally on trend for spring with the pastel colour palette and butterfly print. Complete the look with skinny jeans and pumps.